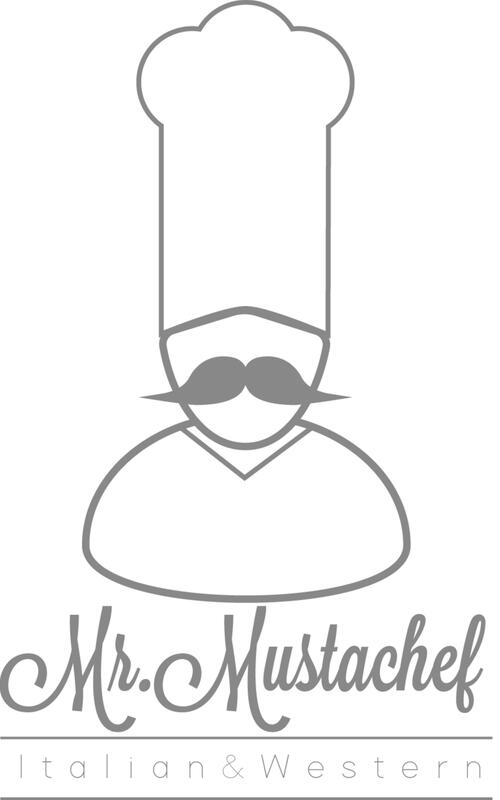 Logo From "Restaurant Project" - (Mr.Mustachef) It's combination of the word "mustache" and "chef". I got inspiration of this logo from typical Italian men who has mustache, the gray color expresses casual, modern, and fancy. Main font is "Lavanderia Sturdy(Regular), the secondary font is "Adam).